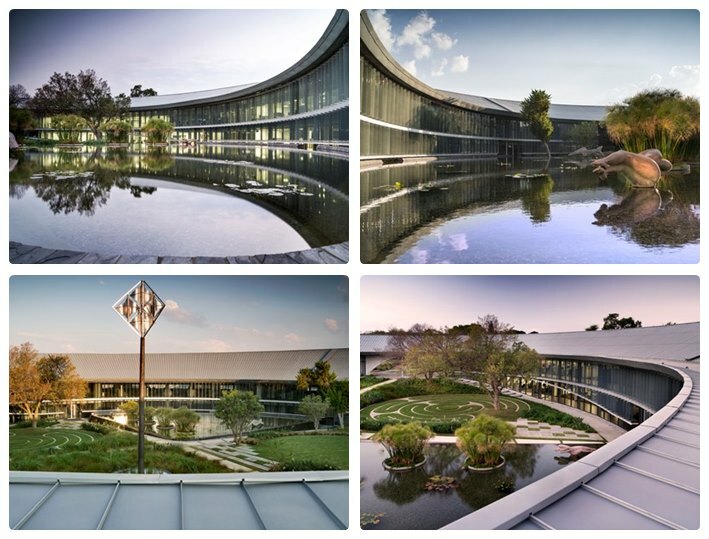 For BMW South Africa’s headquarters, Rheinzink prePATINA blue-grey was installed on a 2 600m² area by Rohde Roofing CC, using a double-standing seam system. Quite a complicated installation, all the roof sheets had to be tapered and crafted on the circular roof. Rheinzink prePATINA blue-grey was also installed on a 500m² facade area through use of a flat-lock tile system with an angled standing seam.